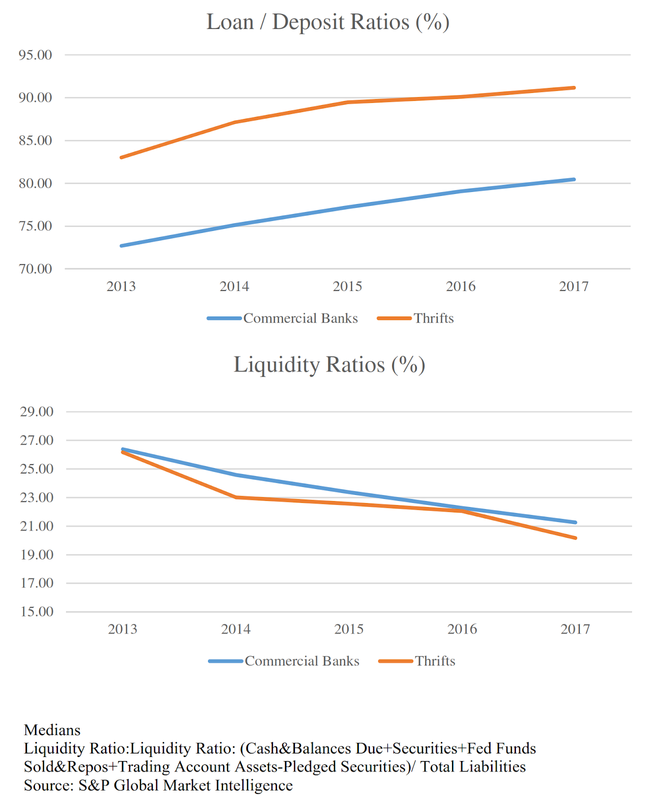 "The FDIC recently has observed instances of liquidity stress at a small number of insured banks." So opened the Summer 2017 FDIC Supervisory Insights issue. And so went your exams. 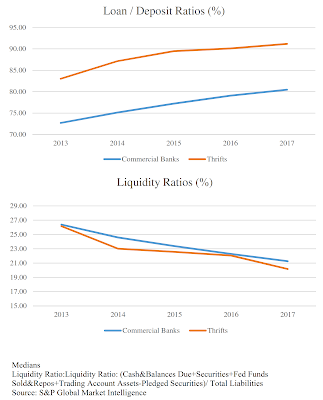 At a recent banking conference an industry consultant said, matter of factly, that in times of stress your Federal Home Loan Bank (FHLB) borrowing capacity would dry up. Nobody challenged him, including me, by the way. But when I mentioned the comment to the attending FHLB rep, she was not particularly happy. This has happened before. Regulators and consultants promulgate this untruth. And having heard it so much, bankers are beginning to believe it. This week I sat in a bank CEO's office where he complained, ranted really, about his latest exam and the regulators' perception of liquidity risk, driven by the aforementioned Supervisory Insights. He was confident in his bank's liquidity position, but felt regulators could artificially create a liquidity problem. Their conversation goes something like this: pretend that your non-core and wholesale funding dries up, and you are unable to attract local funds via rate promotion because of our restrictions on rates paid above the national rate cap. What would you do? Prepare for that. I recently wrote that I thought bankers would have to prepare to offer rates more in line with the market. I noted that there was a greater than 100 basis points difference between what a customer could earn on an FDIC-insured Goldman Sachs Marcus account than what they could earn in your bank's money market account. And that bankers are going to have to build the infrastructure that allows them to be closer to market. The national average rate for a money market account at the end of last year was 0.09%. The Fed Funds Rate was 1.25%-1.50%. So, according to the FDIC rate cap "guidance", you could not exceed 84 basis points on your money market accounts at December 31, 2017 if you were under regulatory scrutiny. Sixty six basis points less than the Fed Funds rate at that time. correspondent line(s), you can't attract local deposits, your municipalities withdraw, and your FHLB line "dries up", all at once? As the FHLB rep mused to me, it could happen if say, an extreme black swan event much worse than the 2007-08 financial crisis happened. More to the point, she directed me to her FHLB's president's message on their website where he wrote: "As long as markets remain open, and a member has pledged sufficient qualifying collateral and is willing to purchase the requisite amount of capital stock, the Home Loan Bank will always continue to lend to our members to help you meet your community's needs." We need a smarter discussion on liquidity. Before we create an artificial liquidity crunch. The consultant at the above mentioned conference did have some solid recommendations that I would like to share, even though he is a competitor. Pretty magnanimous of me, right? Are you feeling pressure internally or from regulators on liquidity?